On January 2nd 1881 it was a bitterly cold day, the Loe Pool was frozen over from the Bar upwards towards Helston. In 1863 the Odd Fellows paraded the street this morning and held their fete at Penrose, again in 1866. July 24th. Odd Fellows paraded the street this morning. Name the Helston-born man who developed the lifesaving rocket which saved many mariners? Answer:- Henry Trengrouse 1772-1854. After Trengrouse saw HMS Anson wrecked on the Loe Bar with a loss of 120 lives he devoted himself to perfecting a lightweight rocket, which could fire a line from shore to ship or vice-versa. It was adopted by the Admiralty, who gave him £50 for the invention! The Tsar of Russia sent him a fine diamond ring. There was a horse water-drinking trough in the old Cattle market -removed when the site became a car park. In the new Cattle Market adjoining the Porthleven Road there was at one time a wood-cased pump on which local cottagers depended for their drinking water. At a small plot of ground alongside the `Old Hill’ at St. John’s a small number of caravans provided shelter for a number of families, they were, it has been said, formerly hawkers and travellers. The site of the present large garage was formerly Joe Banflelds meadow. The garage was once `Christophers` and later Wincanton Motors. The old Cattle Pound, where stray cattle were secured for their protection, or impounded for other reasons, was also a part of Banfields meadow. The old `Tossells lodging House for travellers` was locally known as the `Bug & Flea’. There was years ago an avenue of trees at both entrances into the town, at Penzance (bordering the new cattle market) and the Porthleven Road. At the Loe Bar a rare plant has been found in the past. It is the elusive CORRIGIOLA LITTORALIS (The `Strapwort`) which in a guide published more than 100 years ago then described as a `rare plant’. This plant flowers In July – August and has been found in the past at either end of the sands. There has been no sighting of this for a number of years. November 24th 1985. A stormy morning, two ships were driven ashore near Porthleven this morning. The old cottages at St. John`s Road (Lower Road ) were demolished and replaced with modern comfortable flats catering for the elderly citizens of Helston. The garden of the late Mr. Bill Richards (Uncle Bill to his many friends) there was in the 1919 period a very large overhanging chestnut tree. The nuts were in great demand for playing the game of ‘Conkers’ and boys often hurled stones or any other convenient article to accelerate the falling of the burrs. A young boy by the name of `Thomas` a son of Mr. Hedley Thomas Senior, Drapers and Outfitters in Meneage Street, ran onto the road and was knocked down by a car driven by Mr. Will Upex. Young Thomas died as the result of the accident without blame attached to Mr.Upex. 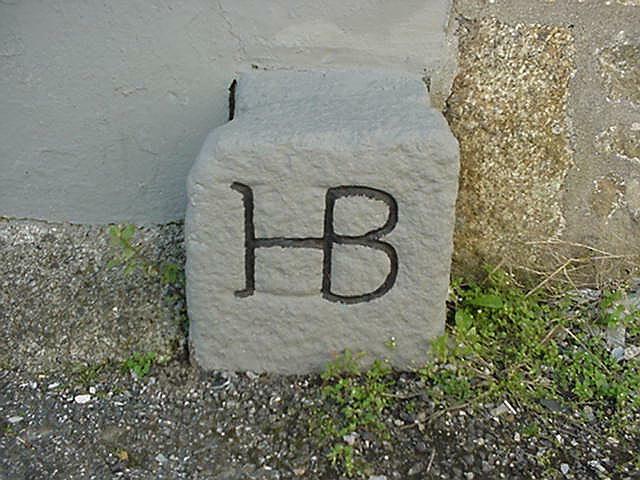 It has been said that the Masonic Hall is the site of an early Grammar School, not the first it is alleged that the first Grammar School in Helston was in Coinagehall Street, not far from the Monument. During the last war a number of enemy bombs were dropped near the Lake and Park. The chief damage was to the protection wall at the park against the Porthleven Road. There are people living who will say it is believed that one of these missiles fell into the Lake but did not explode. I have never heard of one being found there. At Harvest Fair days a familiar visitor was the old organ-grinder who used to make his stand near the entrance to the old coalyard. The elderly, bald-headed, bewhiskered character attended for many years and ground out his plaintive melodies. At one time he had a small monkey which was an added attraction which would grab the pennies and drop into a tin. Alas -he failed to turn up and enquirers asked the reason for his absence. lIe had passed on – the wildest stories were circulated as his demise-rumour had it that the old fellow owned streets of houses in towns like Penzanee, Camborne and Redruth – while at the other end of the scale it was said that he died almost penniless – I have no idea which was correct. Two familiar victims of misfortune, each having their selected sites near the Market place, to whom passers-by would drop a few coppers to help them combat their misfortune, Gunner Curtis, a veteran of War, who was paralysed and progressed with the aid of wooden crutches, his legs being strapped together above his ankles. The other unfortunate person was a Helston man Mr. Edgcumbe, who lost both eyes, so I have been told, in a blasting accident. Both have long been dead. Helston Lake was frozen during the severe winter of 1917, during the First World War. It was of such thickness that skating took place and boys rode cycles on the surface, while small boys enjoyed a ‘slide’ of quite a distance in the middle. It has been frozen at other times since then but not capable of catering for similar escapades, although the small childrens paddling section has been frozen sufficently to enable youngsters to play on it. On these occasions, for both safety`s sake and for the wildlife to drink, the ice has been broken by the use ot pick-axes. Flocks of Dartmoor ponies, in their wild state, were formerly sold in the new Cattle Market on Harvest Fair Days. Vast quantities of ‘Kea’ plums were sold on the same day. Hence is attributed the description of the day as `Plum Fair’. There is a lady living near St. John’s who is a cat lover and provides a home for unwanted, abandoned or homeless eats. They are all taken care of, if necessary Veterinary attended and all lovingly cared for. At the time of writing this information she is giving homes to 41 of these animals. There was formerly a footpath across the Penrose Valley. Often impassable through flooding during wintry weather. 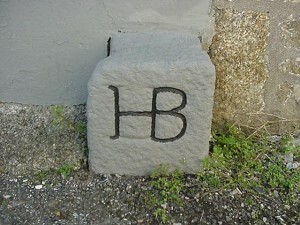 A boundary stone of the old Helston Borough is situated a little way beyond the old Helston Mill, another similar stone is sited in the Old Hill Road. Another can be found at the junction of Meneage Street and Prospect Place. The dangerous ‘Corks’ bridge in the Penrose Valley was demolished when the new Cober water course was cut. A number of wells, for many years the only source of water supply in the St. John’s area have disappeared with the introduction of a piped water supply. One of these former supplies was at ‘Triangle’ the former home of the late Mr. Joshia Stephens and family. Mr. Quintrell, formerly organist at Helston Parish Church also lived there. Zackerys Bridge, outside the Helston entrance to the Penrose Estate was rebuilt in 1948 when road widening developments took place. The Old Hill was built in 1760. It is recorded that Sithney Common Hill was made in 1833. Upex & Son, pioneers of the motor business in Helston, had their garage deptartment at St. John’s for a number of years. It has also been stated that T. & T. (Tredinniek & Tredinniek) commenced their motor business there. T.& T. vacated the large store at the Old Hill. St. John’s in about 1920. A scheme was proposed that the premises should be used as an indoor roller skating rink. This did not come to pass. Eastmans the butchers, used the ground floor and new extensions as a slaughter-house about 1935-40. Mr. Ernie Winn was a tenant for a time, in about 1924-5 to 1939. Helston Small Arms Club formed in 1939 used the premises but closed, it was alleged, due to shortage of ammunition. The last tenants were United Dairies, who established a collecting centre for milk and eggs. A footwear repairer also occupied a premises near the Old Hill, it may have been in the same building. Please note that these persons and dates were given to me and might be open to correction. Bill Richardson, the well known coach proprietor, suffered severe loss and damage to some of his coaches when it subsequently emerged that two boys lit a fire to keep themselves warm during their camping out escapade. The fire became unmanageable and Mr. Richardson suffered complete loss of his property in St.Johns. Tradition must not be forgotten. ‘A boat and fishing nets must be kept in readiness for the sovereign’s use for fishing in the Loc Pool`. I believe this obligation still stands, but I have no information whether this has been carried out. Refer to Spencer Toy’s `The Loe Bar near Helston`. A study of the St. John’s area by some pupils of Helston Secondary School, July 1968 – February 1969. The low lying area to the South West of Helston is known as St. John’s, it lies on the other bank of the River Cober which is the parish boundary and so is in Sithney Parish. It was in this area that from the mid 12th century until the mid 16th century a religious house existed dedicated to St. John the Baptist. It would appear that the Old Mill House is the source of much of St. John’s history, but I have found it difficult to discover proof positive of many of the stories told. In 1969 Lt. Cdr. J.P. Rogers, the local squire, gave 14 acres of land in the Loe Valley adjacent to Helston’s Fairground, to the Borough of Helston to provide an amenity area. After a slow start this site now flourishes as an additional attraction to the delights of the Penrose & Loe Pool Valley.